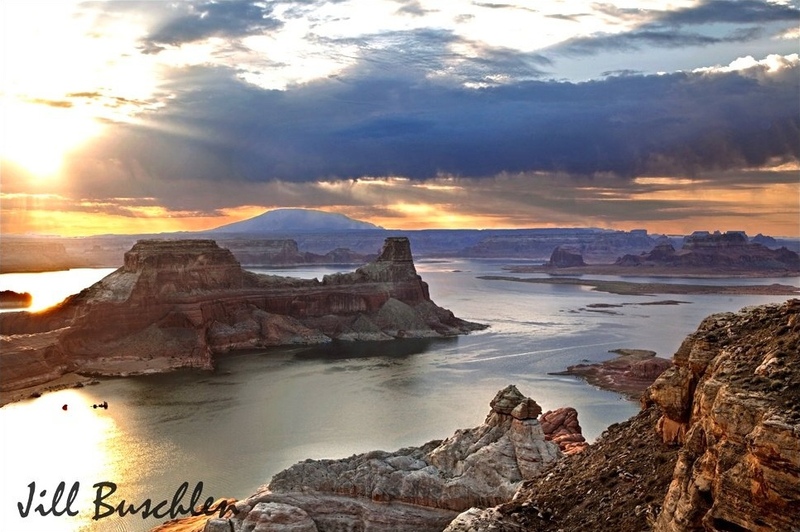 Lake Powell is a man-made reservoir on the Colorado river. 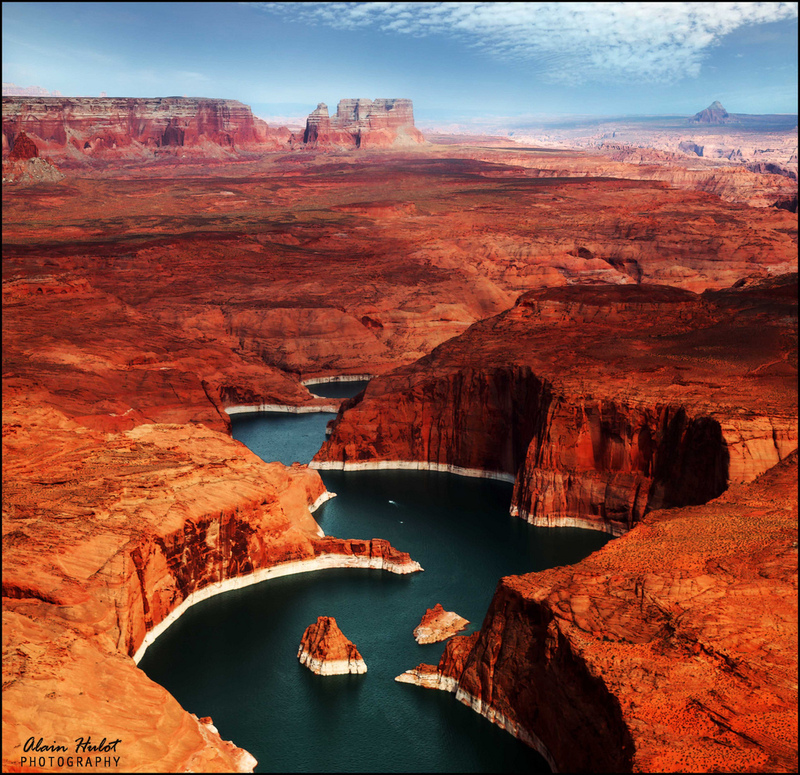 Located in the United States between Utah and Arizona, Lake Powell is surrounded by magnificent Navajo sandstone canyon walls in bright oranges, reds, and whites. 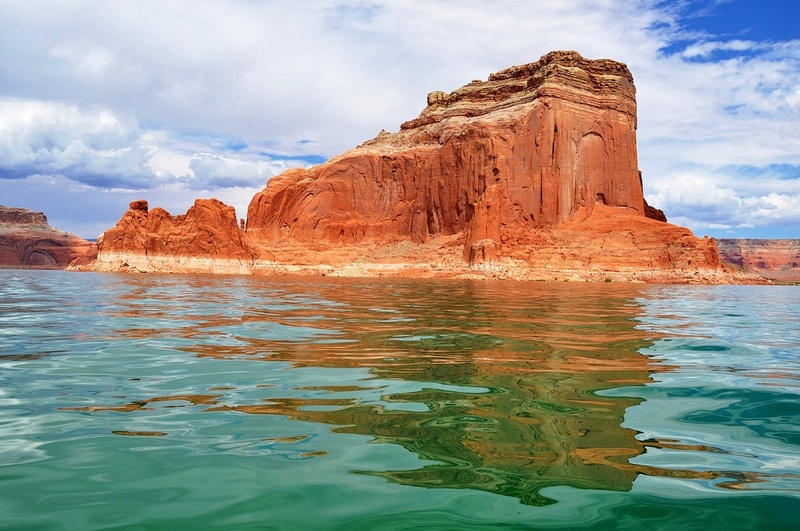 These striking colors contrast beautifully with Lake Powell’s blue-green waters. 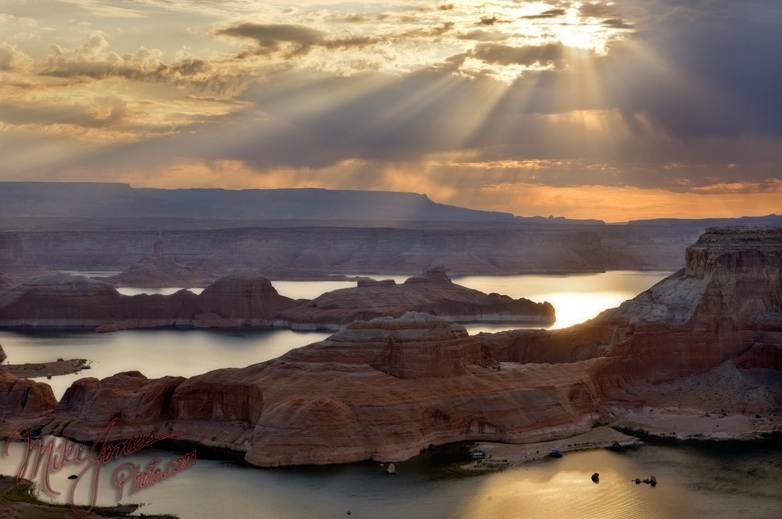 Lake Powell is a sprawling, winding lake, and is the second largest man-made lake in the United States. 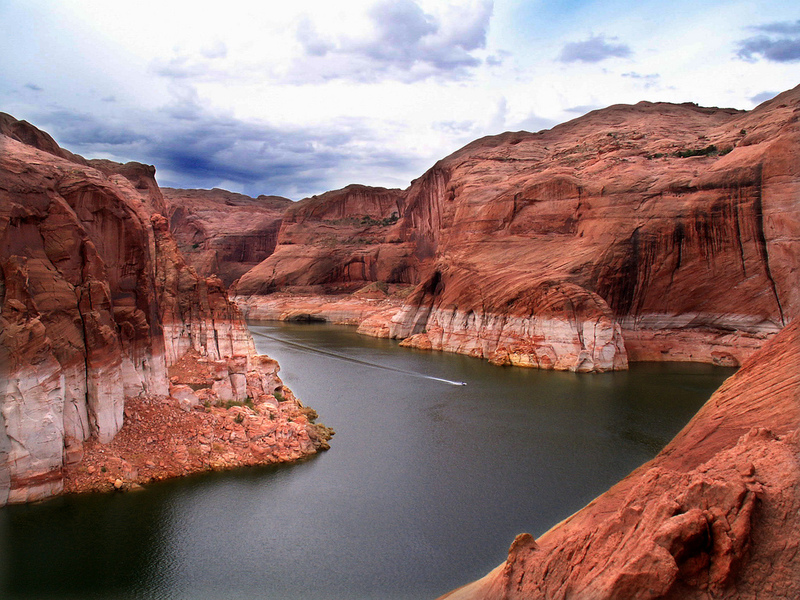 The lake was made when Glen Canyon Dam was constructed in the early 1960s, flooding Glen Canyon. 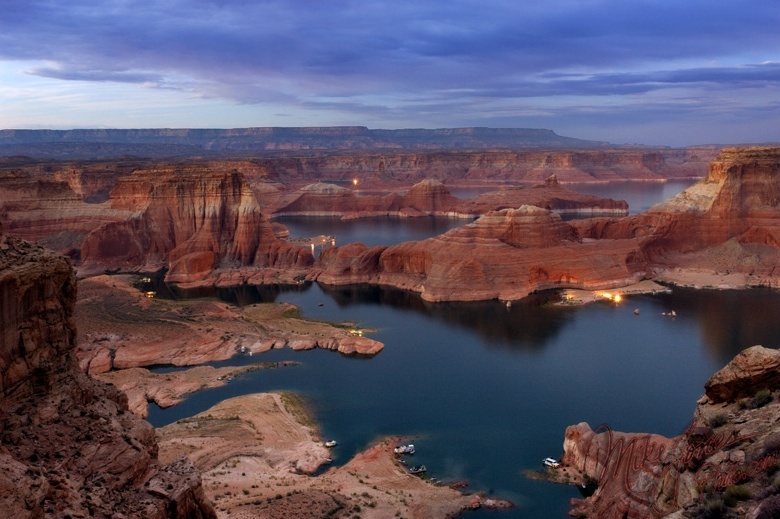 The lake, along with Horseshoe Bend and the notable Rainbow Bridge National Monument rock formation, is now part of the Glen Canyon National Recreation Area. Visitors to the lake can tour its waters via boat rental or guided tour. 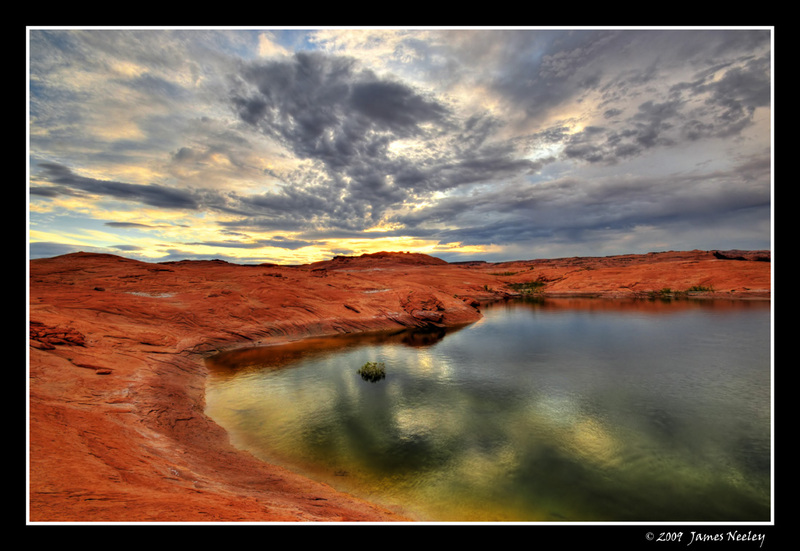 Tour operators and lodging can be found in the nearby town of Page in Arizona. Do more cities and towns! Amazing photos! I would like to share your website with the readers of travel blog I maintain. Please let me know if you’re interested in being mentioned there. In lieu of that I will provide you a badge that will show your website has been featured by us. Beautiful pics! 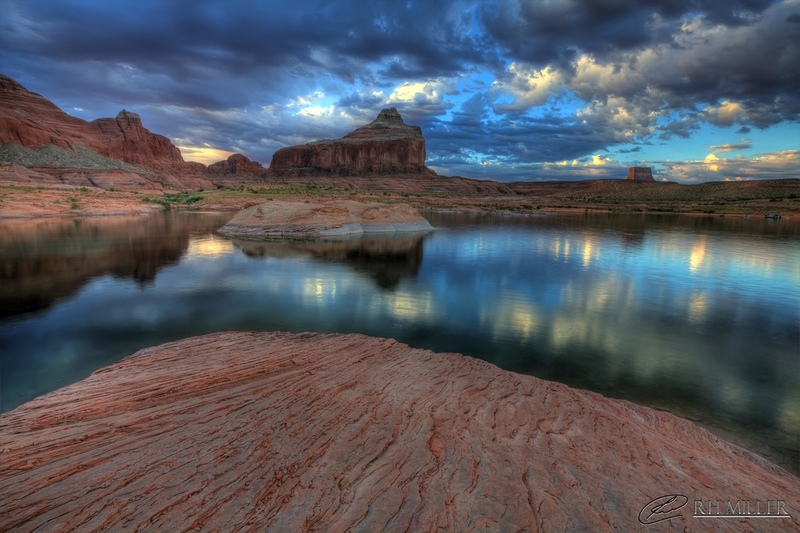 Isn’t Arizona an amazing state? I wish I could go to a lot of these places. What do you say? I love theses pictures. They calm me. 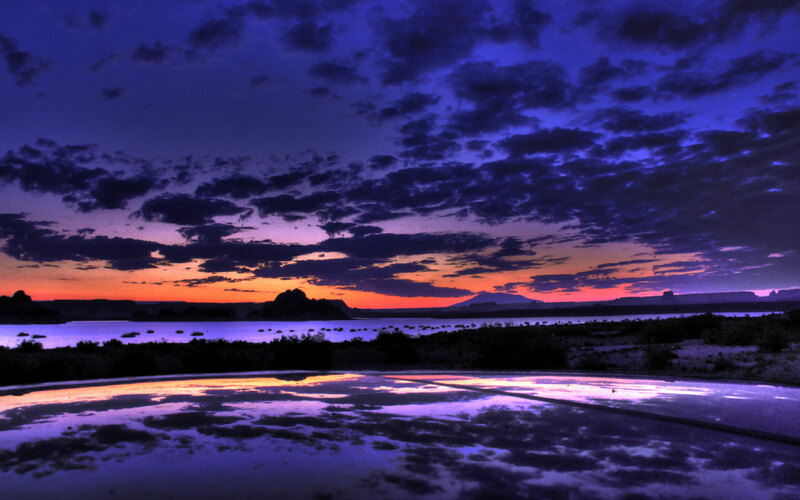 I love Arizona. We visited Sedona a couple years a go and took a million pictures of the incredible red mountains. 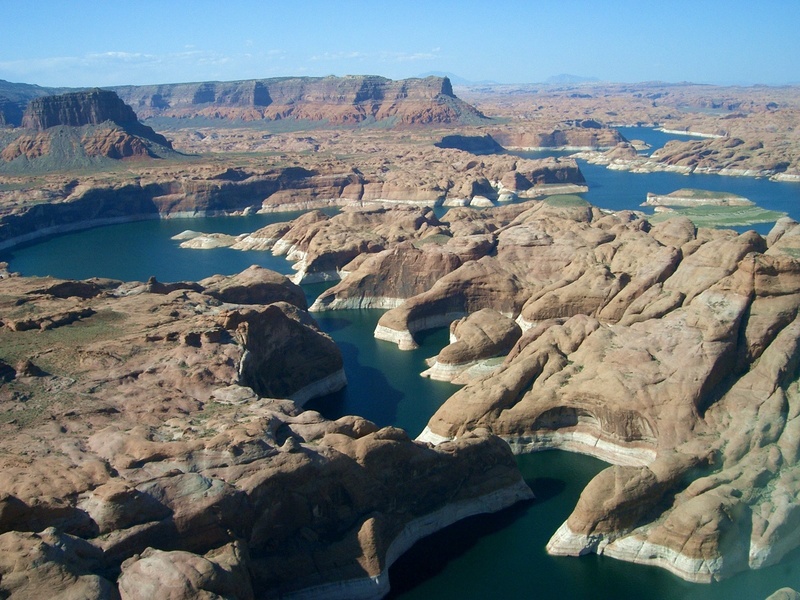 We have never been to lake powell but plan to visit the next time we are in AZ. Wow! This looks somewhat like another planet. I came very close to Utah once but didn’t actually go into the state. Now that I’ve seen this I have to admit I am starting to regret that decision!